The Kaltura plugin for Moodle adds several features that enable instructors to add and manage video and audio content in their Moodle courses. Specifically, it provides a Kaltura Video Resource and Kaltura Video Assignment. 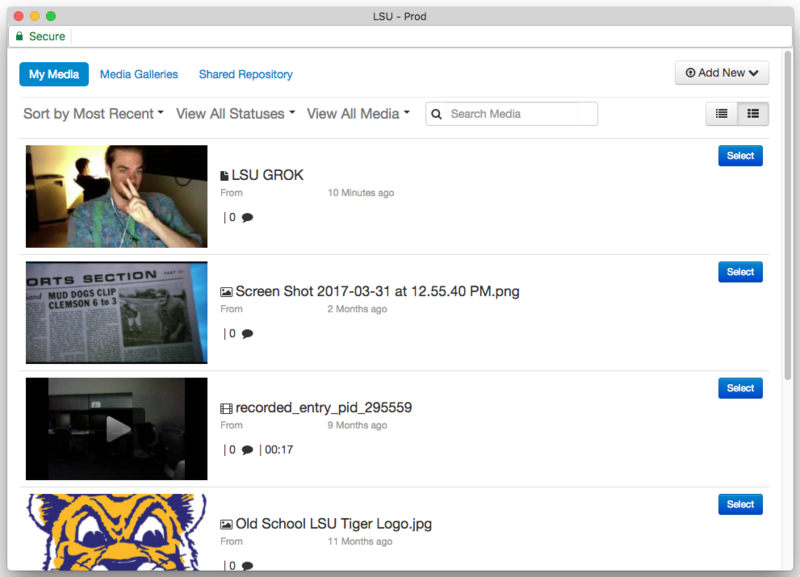 Any videos uploaded through these means is manageable through the My Media management area in your Moodle Navigation Block. Finally, the plugin provides some viewership metrics in the form of per-course reports. IMPORTANT NOTE: Kaltura's screen recorder is only available through Kaltura CaptureSpace Lite. You don't have to worry about file size. Videos are played directly within the browser rather than requiring participants to download the video to see it. 1. Log into Moodle and open the course which you want to include the Kaltura Video. 2. Click the Edit button in the upper right of the screen to turn course editing ON. Please Note: There are two different ways to complete this step depending on which view you are in. If you see two separate drop-down boxes, Click Add activity then select Kaltura. 4. Select Kaltura Video Resource, located under RESOURCES, in the sidebar at the left. 5. Click the Add button, located at the bottom left of the box. Enter the Kaltura Video Name* (Required). Enter the Kaltura Video Description (Optional). 8. Select the video you want to add to your Course. If you have not previously uploaded a video to Kaltura, Click Add New at the top right and add a new Media Upload. For more information, see Uploading a Video File (Faculty & Instructors). 9. Customize the Media Options, such as the Player Skin, Size, and the Metadata to include. Once finished, click Embed to return to the activity settings. Note: The default Player Skin does not give students the option to download the file. The second player skin includes a download button. 10. 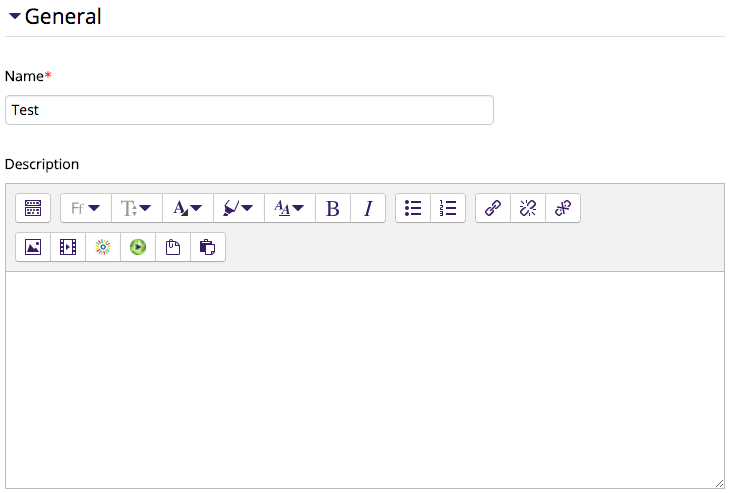 Under the Common Module Settings Tab, you can edit settings like availability to students, ID number, and group options. 11. Under the Restrict Access Tab, you can restrict access to some users if needed by clicking the Add restriction button. 12. Under the Tags Tab, you can add any relevant tags. 13. Click the Save and return to the course button at the bottom of the page.